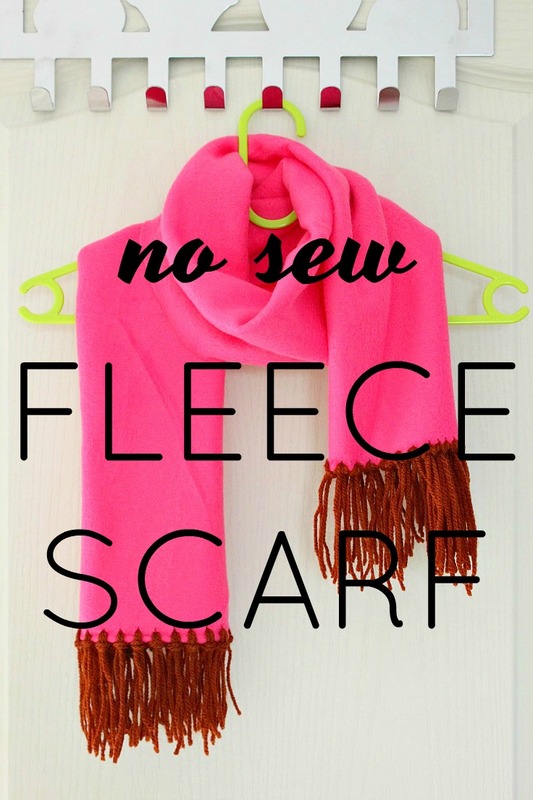 This fleece scarf is so easy and fun I intend to make one of these babies for myself too. 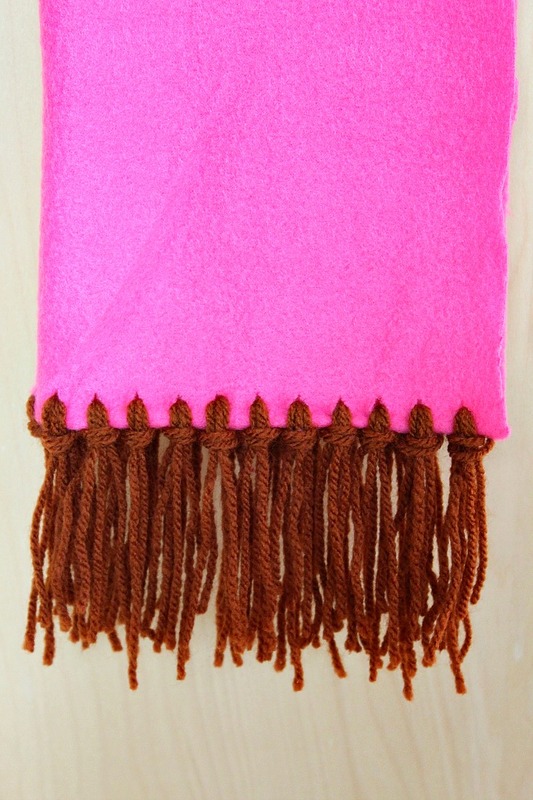 I made this little pinky no sew scarf for my daughter, for when we travel via airplanes as some companies really tend to go over board with the air conditioning! It gets really chili and my poor little angel is so sensitive, she almost lost her voice the last time we took a flight. This little stylish fleece scarf is so soft and cuddly and gets her warm so quickly, Ellie loves every bit of it! I didn’t expect the pink to match the brown yarn at all but since these were my only options I had to go with that. 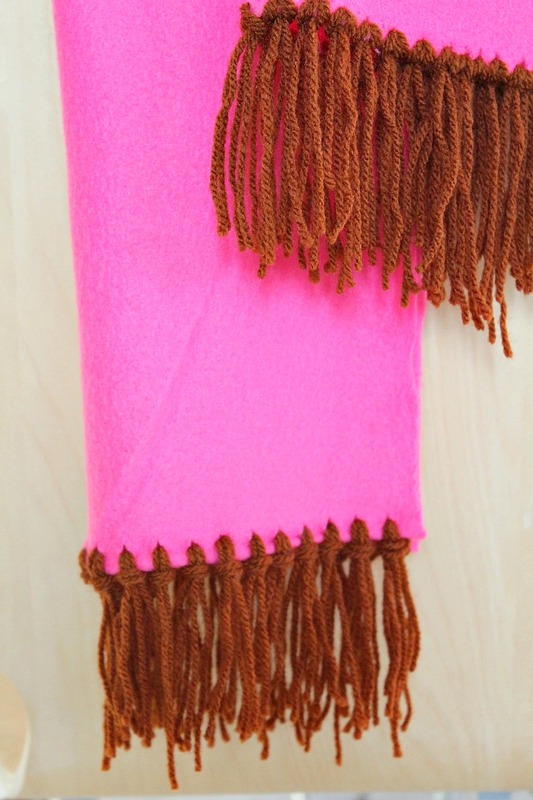 But after making this DIY fleece scarf I think the colors do complement each other pretty nicely. These would also make great gift ideas for friends and family, are inexpensive, and are easy and pretty quick to make, even for a klutz like me! 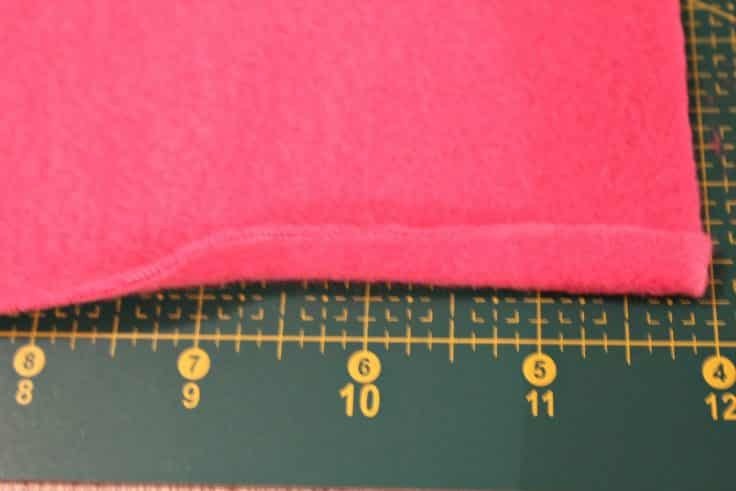 Lay your fleece on the cutting mat and using the ruler, measure the length and width of your scarf. 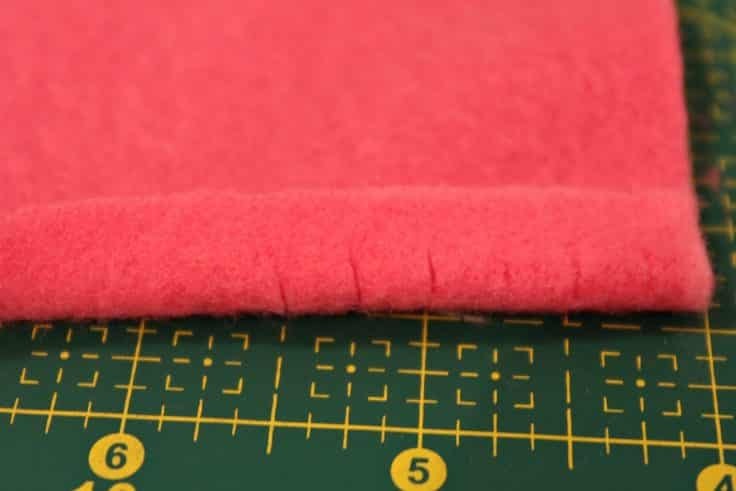 Cut the fleece with the rotary cutter, using the ruler and the marks as a guide. Fold the ends about 1/2″ and make tiny snips on the fold, about 1/4″ apart. Be very careful not to cut too big of slits! Cut the yarn the desired length (depending on how long you want your fringe to be). 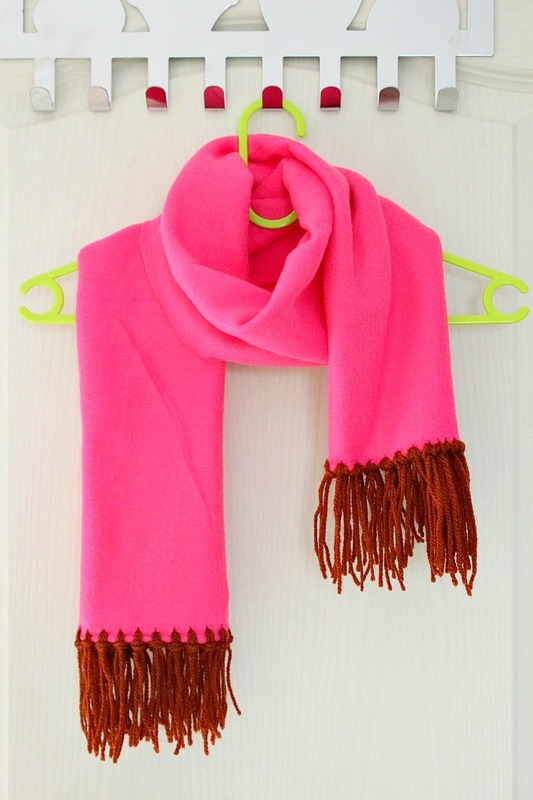 Take 2 threads ad fold them in half, then pull through the little snips you made on the scarf. A crochet hook might be helpful here. 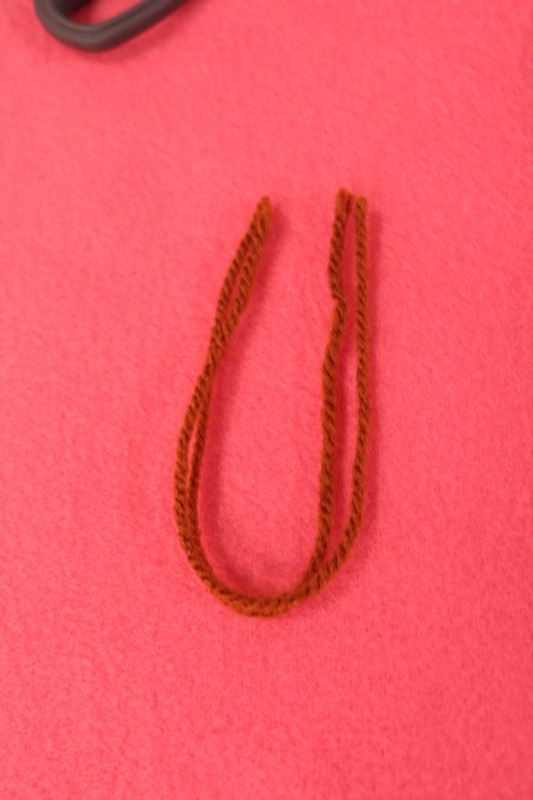 Take the end of the yarn and pull through the little loop you just created with the yarn. 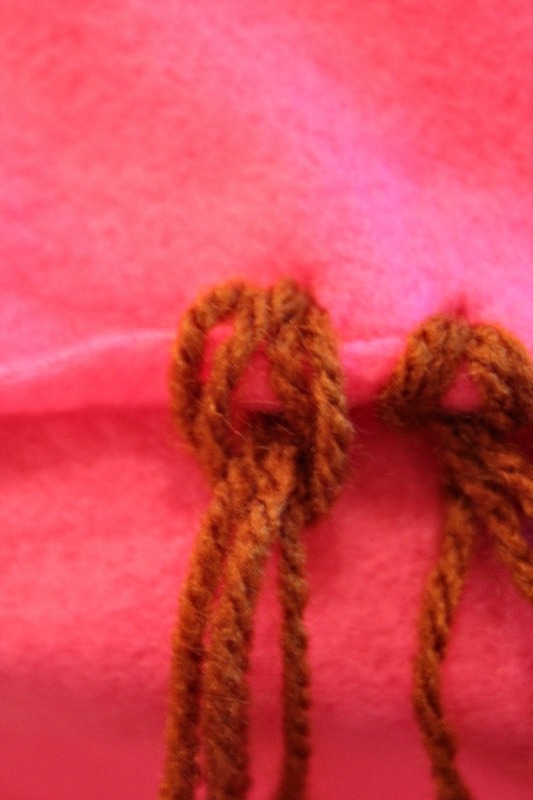 Gently pull until the yarn forms a tight knot, so you won’t tear the fleece at the snips. 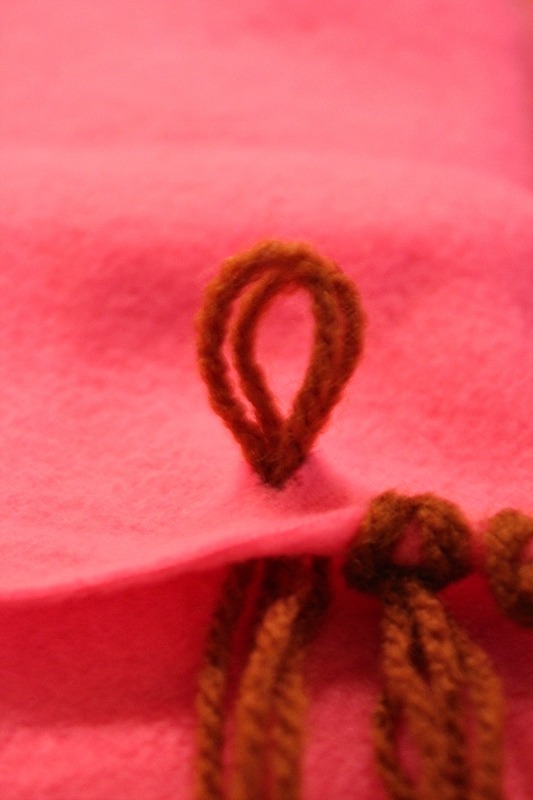 Once all yarn is added, trim it to the desired length and to be of the same size – optional. That’s it! 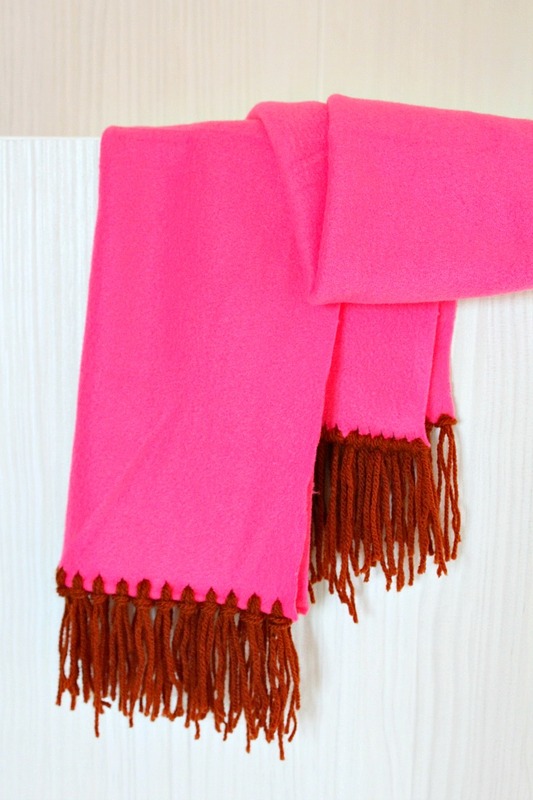 Your cute, warm fleece scarf is ready to wear! Nice and Easy! thanks for sharing. Hi. Thanks so much for stopping by! Have a wonderful day.